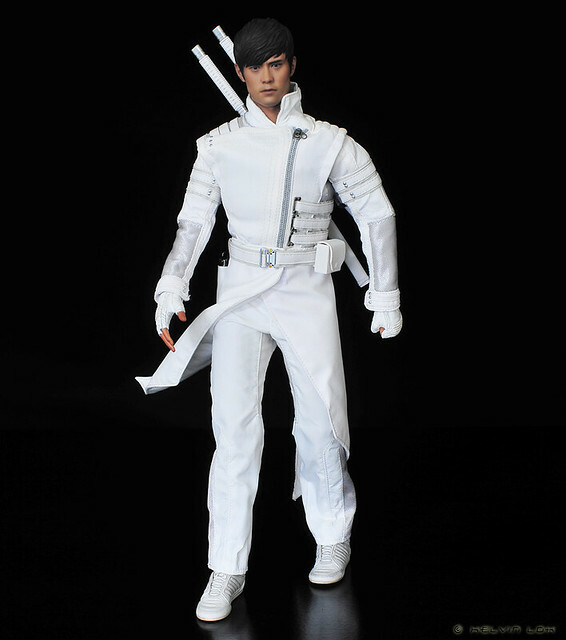 More photos of Hot Toys Storm Shadow! I don't really like the 'skirt' of his ninja suit in the movies. But in the toy it can be posed as if being blown by wind, which I have to admit makes for some cool shots. 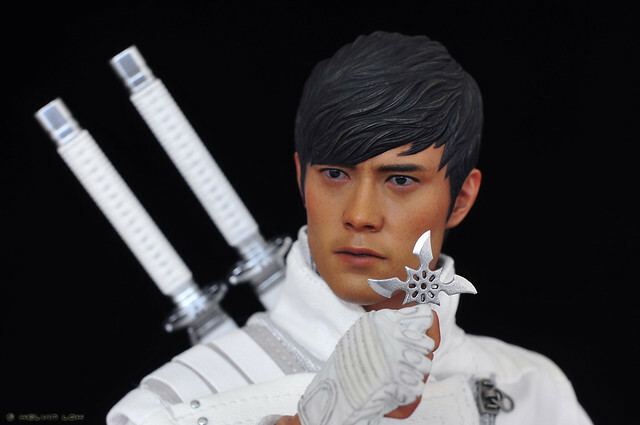 The likeness is very close to the actor, but the skintone is a bit too dark. Is it only my piece? 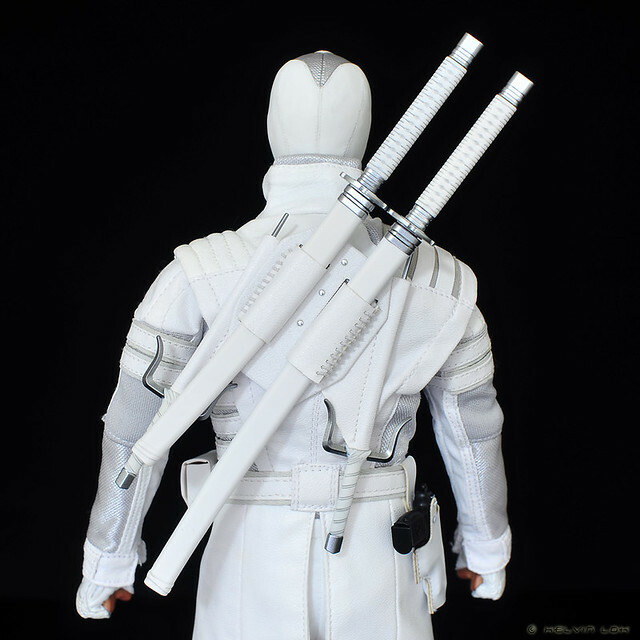 Storm Shadow can carry his 2 katana and 2 sai weapons on his back. His shurikens and pistol can be carried in the pouch and holster on his belt. I'm really happy that this set comes with the sai weapons that he used in the flight with Snake Eyes in the mountain fortress. 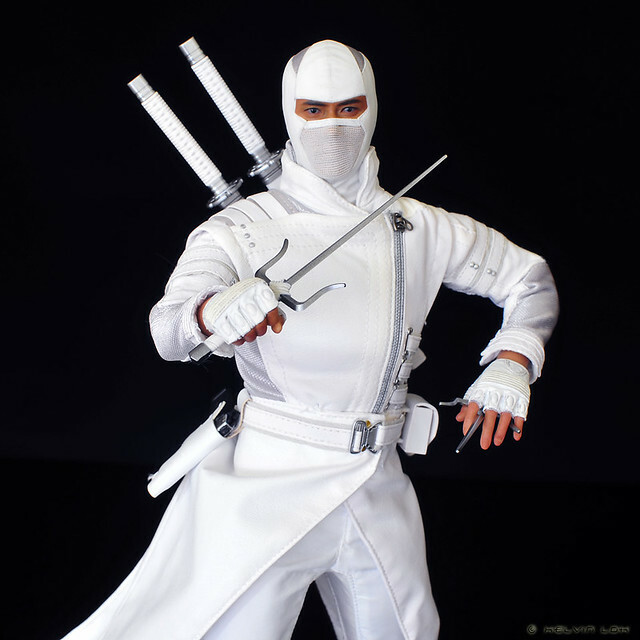 Unfortunately, this set does not come with specific hands to hold the sai in spinning moves. 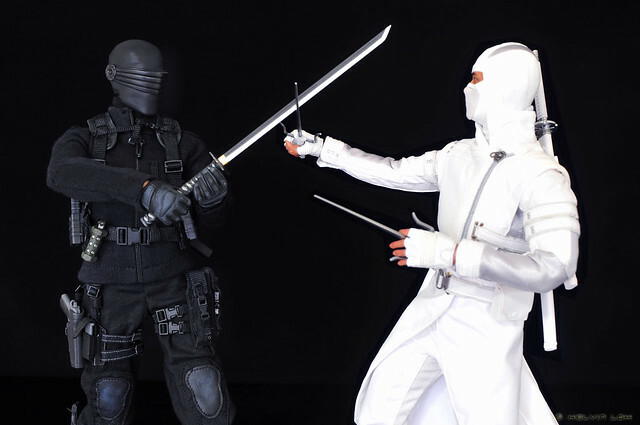 Snake Eyes vs Storm Shadow! 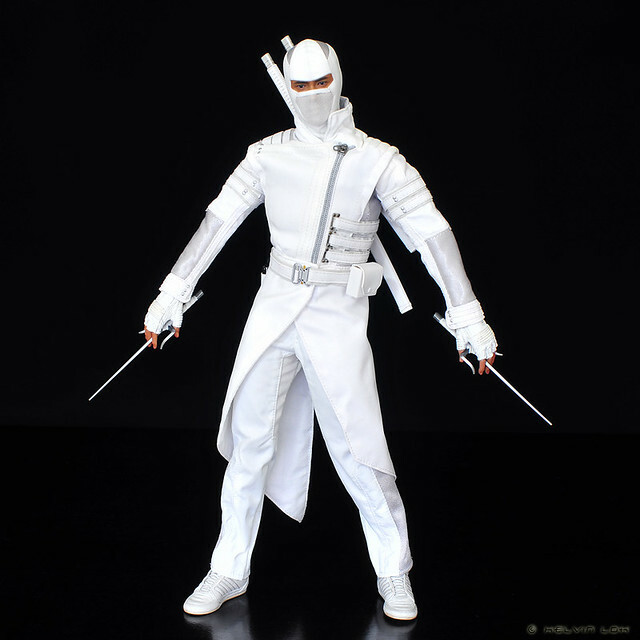 Yes, my Snake Eyes is the Sideshow version. Stay tuned for Part 3 where I will feature his main katana weapon!